Faculty Grant proposals may be submitted by faculty members at the University of Wyoming, Wyoming’s community colleges, or the Embry-Riddle Aeronautical University-Cheyenne Campus. Faculty must be U.S. citizens. Faculty who are not U.S. citizens may apply for the grant to supply salary or other support for students (who are U.S. citizens) working on the project – unfortunately none of the award may go directly to a faculty member who is not a U.S. citizen. Proposals must be of a nationally competitive nature. Faculty must hold the rank of assistant professor, associate professor, professor, research associate, full-time faculty/instructor at a community college, or equivalent (sorry, adjunct faculty members and post docs are not eligible). Faculty Research Grants are intended to support new faculty just starting out in their careers or established faculty who are embarking on a significantly new research direction. 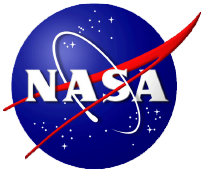 These grants are intended to give proposers a “leg-up” in future proposals to other funding agencies (including NASA and NSF). Women, faculty from underrepresented groups, and early career faculty are especially encouraged to apply. Awards are normally made for faculty summer salary, including benefits. Supplies or other research expenses (including wages/support for students or post-docs and travel necessary for the project) are also acceptable. The award may not be used for page charges, international travel, tuition for special institutes or off-campus programs, or the purchase of equipment costing more than $1000. Projects may begin in July and must must be completed by the end of June of the following year (unless other arrangements are made in advance). Any amount of money that remains unspent by the end of June of the following year will be relinquished. Cost share in the form of faculty time spent on the project while receiving salary from the University or a community college is required in an amount equal to the award. For UW Faculty this can be reported on monthly PAR reports. The probability that the recipient will develop a successful research program, resulting in publication and/or proposals to another funding agency. Proposals that include non-federal cost share that can be documented will be given priority. Proposals that cannot be fully funded from other sources will be given priority. Recipients are expected to keep WSGC informed of their progress. 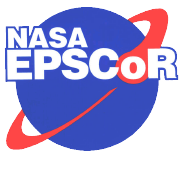 Research programs are expected to result in publication in a refereed journal and/or a proposal to another funding agency (i.e., NSF or NASA). Presentation of research on campus is expected; presentation at national scientific meetings is highly encouraged. If additional proposals are submitted to other funding agencies resulting from WSGC funding, you are expected to notify the WSGC office of these proposals (either successful or not successful).